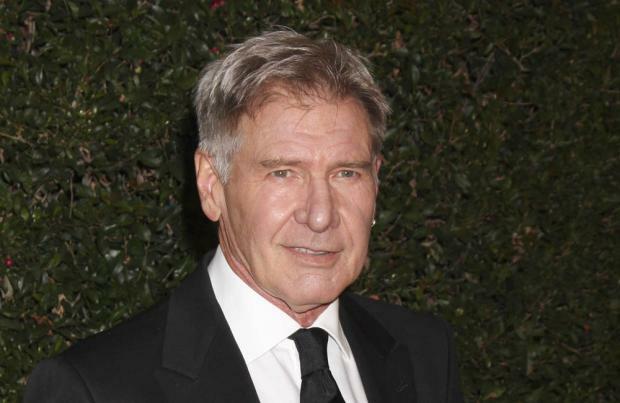 Filming for 'Star Wars Episode VII' has resumed following Harrison Ford's recovery from injury. The Hollywood icon suffered an accident on set earlier this month, which meant he had to undergo surgery on his leg and led to a postponement of filming. However, the 72-year-old actor has made a recovery and filming has restarted at Pinewood Studios in the UK, according to The Hollywood Reporter. What's more, it's been revealed that the break in filming has not caused a delay in the release of the much-hyped film, which is set to open in the UK on December 18, 2015. The film will feature the stars of the original trilogy, including Ford, Carrie Fisher and Mark Hamill, as well as Anthony Daniels, Kenny Baker and Peter Mayhew. The cast has been supplemented by the additions of Adam Driver, Oscar Isaac, Andy Serkis, Domhnall Gleeson, John Boyega, Max von Sydow and Daisy Ridley. Meanwhile, Ford recently appeared in 'The Expendables 3', alongside fellow Hollywood star Sylvester Stallone, who spoke about how their friendship was fostered when they were both struggling actors in the late 1970s. He said: "Both of us would be wondering how long this acting was gonna last. Actually we became very, very close ... Harrison is a very insulated, intelligent and very funny, very witty, dry humorist. When you tap into that, it's great."